I'd say no to the newer equipment being added. I prefer to keep the same equipment and items that were available last year. Is DB confirmed for sure for post change mechanics, or are we going pre-mechanics of DB? Side note, i actually liked the map that we used last year (the ball room was it?). But only that map! The ice map is totally unfun. Edited by Scrapie, 13 September 2015 - 01:01 AM. I dont think theres reason to change the style of the tournament. The way it was last year was pretty cool, very balanced. I dont even think that prohibition of the meca was needed, but i wont fight for it. Please, do the same thing as the last year. And one more suggestion, do the USRC Classic. Theres a lot of people wanting this, but they dont come here in forum. Especially foreign like me. Theres no place to do 7x7 Classic, and its a really fun and balanced game. I can't promise a USRC type tournament for Classic until we get the problems with the test server figured out, but it is something we want to do as well. Also, as mosk said, most ppl wanting classic USRC to be done dont come to the forums, but still we really want it to happen!! I hope this happens. I'm really interested. How we get the confirmation of register? Very sorry for the delay, Sakray PVP test will be ready by 7pm today. Camp worked to get the proper settings in place for Fall Brawl's settings this last week. For the team leaders that registered, you will be able to talk to the practice room access NPC and have the option of telling the NPC that all members of your party can be whitelisted to enter the practice room. There will be NPCs to get you leveled to the proper level and NPCs providing the necessary gear to get practicing! There will be a client patch for sakray, so please make sure that your patch2.txt file is not set to read-only. It is complete and ready. Talk to the practice room npc for zeny. The NPC is white listing off the leadercharacter name provided at registration. If you don't have that name let us know and I can update the npc. The practice room npc doesn't seem to be whitelisting me character name is "KhaosKing"
No client pops up when I click on "start"
You wrote 'KriticalAssassin' on the website. Want me to update to KhaosKing today? Are you running it as an administrator? I had to change the compatibility settings. Can't enter practice rooms via dog even with the leader name, and how will other people who are not white-listed enter? 2. Team lead tells dog to grant access. Why didn't we make it so that the dog always gives access to team leads? 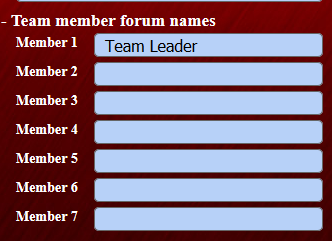 So that the team leader can be invited by other team leads for friendly versus matches. 3. do i spam him or something? Edited by KamiKali, 29 September 2015 - 09:47 AM. You are right... Okay I will fix give me about 3 minutes Sakray being restarted!